Rev. “Twinkle” Marie Manning is an interfaith minister, a member of the Unitarian Universalist Society for Community Ministries (UUSCM), the Co-Convener of UU Women and Religion (UUWR) and the Church of the Larger Fellowship’s (CLFUU) Affiliate Community Minister for Women’s Spirituality. Twinkle’s Place is an approved UUA Related Organization. Twinkle strives to include many philosophies in her service. 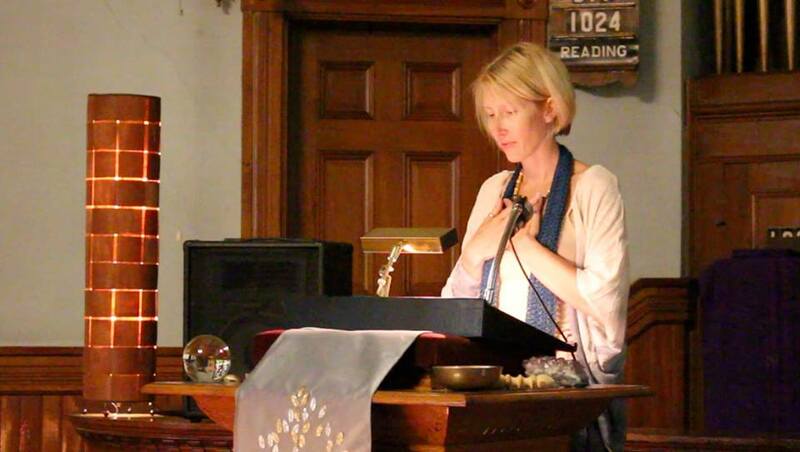 Her interfaith ministry often focuses on the earth-centered, spiritually connected, community building and social justice aspects of the UU faith and draws from aspects of esoteric, divine feminine, mystical, metaphysical and traditional faiths she most resonates with. As a member of the UUSCM, she affirms this Code of Professional Practice as a standard of ethical commitment for the practice of community ministry. Being ordained by the International Metaphysical Ministries, her interfaith ministry is embraced alongside such wonderful ministries as that of the amazing Rev. Dr. Della Reese-Lett! The IMM has over 8,000 active ministers in over 120 countries worldwide, each living into their transformational ministries in unique ways. Twinkle is a clergy member serving as a freelance minister and liturgist. Her ministry serves many -both inside and outside the walls of- congregations. She has achieved long-standing accolades as a preacher and pastoral care support to members of the congregations and covenant groups she works with. 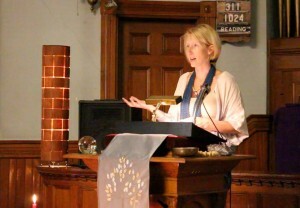 She has studied both Druidism and Buddhism (Zen) in focused and formal programs. As well as Sacred-Feminine Ritual/Goddess Cultural History. She has taught the Rise Up and Call Her Name curriculums in Concord, MA with the amazing Bozena Smith and has co-lead workshops and organized many spiritual retreats, including one with Starhawk, and others on earth-centered paths. And a collaborative retreat with Jessie Washington at Ferry Beach. Part of her service is teaching workshops that bring the Shared Leadership and Circle Model of Group Facilitation to the women in our UU denomination. 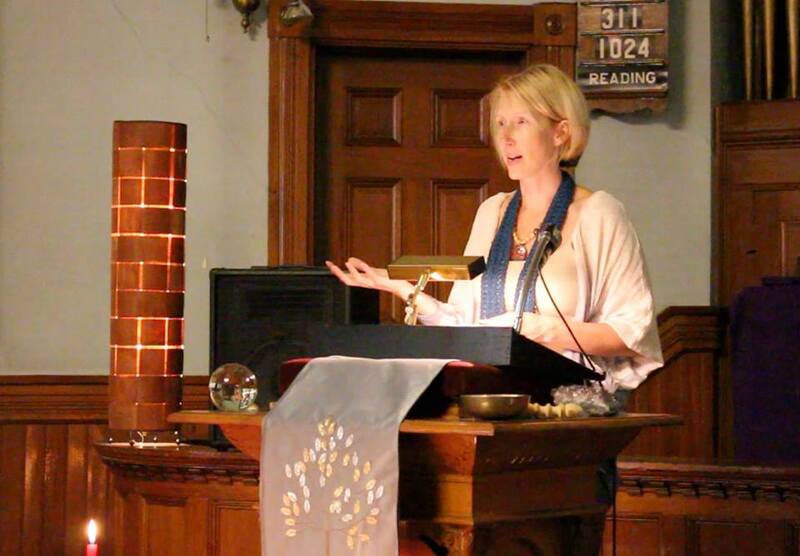 This aspect of her work is integrally rooted in the mission of UU Women and Religion (where she is honored and excited to be Co-Convener with Gretchen Ohmann and working as part of the UUWR Core Leadership Team in the United States as they explore merger with UU Women’s Federation). Twinkle is also part of UU Women’s Heart where she is developing curriculum, ritual and liturgies for UU women in leadership throughout our faith tradition and leads convening groups in the New England Region. Twinkle is also a covenanted member of The New Prophetic Sisterhood . 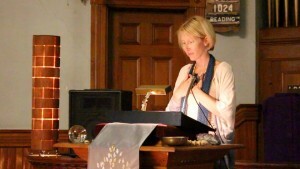 In addition to her Unitarian Universalist connection, Twinkle also gains insight and support from fellow clergy of other denominations and spiritual leaders of varied Faiths such as: United Church of Christ, Unity Church, Science of the Mind, Episcopal Church, Temple of the Divine Feminine, Agape International Spiritual Center, the Self Realization Fellowship, and, of course, the International Metaphysical Ministry. Inter-faith work is of special interest to her as she feels the foundation of most religions have the same message of compassion and interconnectedness. 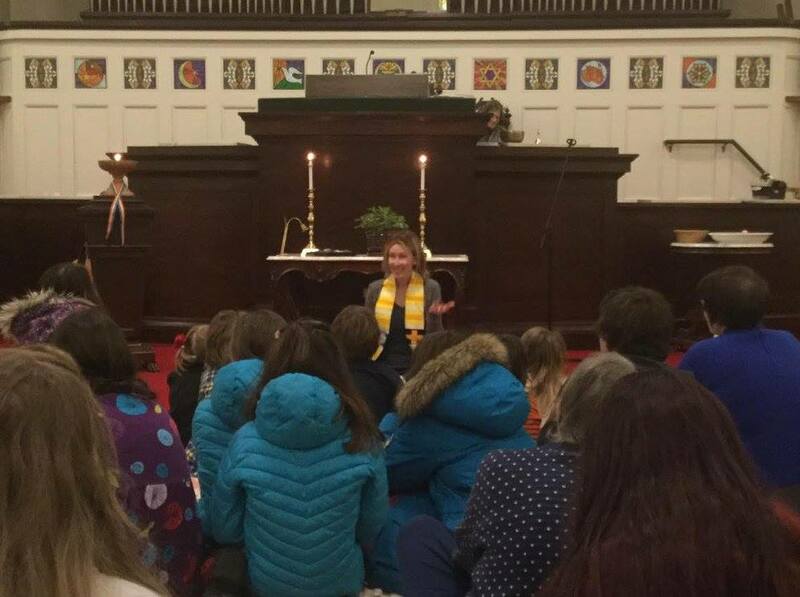 In addition to her Unitarian Universalist colleagues, Twinkle has co-lead retreats and worship with Shaman and Witches, Buddhist Priests and Pagan Priestesses, Sufis and Rabbis, Christian Pastors and Hare Krishna. She is also the creator of UU Talks, in collaboration with Peter Bowden of UU Planet. Here are several links to Twinkle in the Press for both her spiritual and secular work! 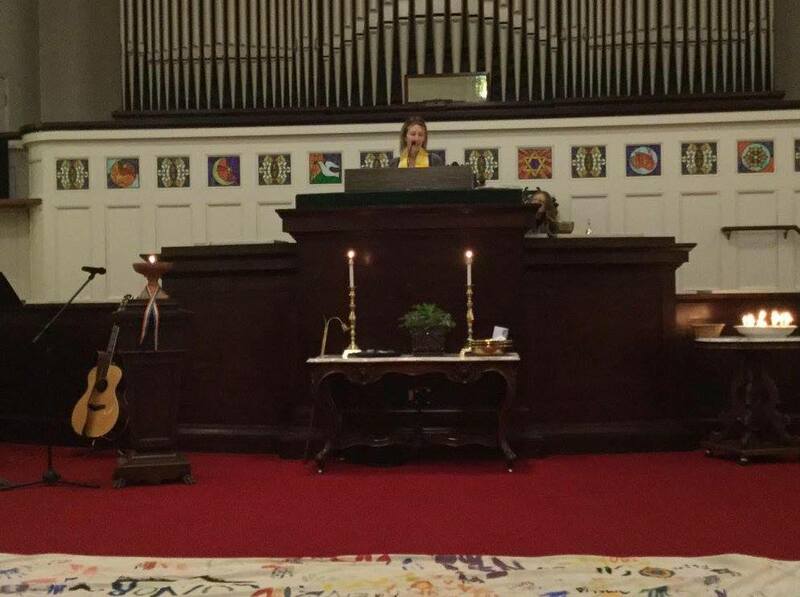 The Unitarian Universalist Society for Community Ministries (UUSCM) is a Unitarian Universalist movement of lay ministers & ordained clergy committed to promoting a broad spectrum of healing and social justice ministries. Members believe that only through many diverse forms of ministry can we heal the broken, create justice, and live in harmony with the spirit of life. They hold a vision of a larger ministry that sees the world as its parish. The New Prophetic Sisterhood is a covenanted network of UU woman-identified religious professionals, who covenant to affirm and promote equity and justice for women and girls and to lift up diverse feminisms. As individuals and as a body we use our voices in our congregations and communities to create more awareness of and prophetic public witness around issues that impact women and girls. New Prophetic Sisterhood covenanted members commit to creating and sharing worship resources, including sermons, homilies, and liturgies. If this sounds like you, please join us! 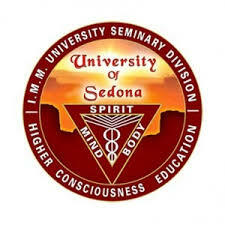 There have been many prestigious graduates from the University of Sedona and its sister school the University of Metaphysics. In 2008 Rev. Dr. Della Reese-Lett, who received her doctoral degree from the University of Metaphysics, received the International Metaphysical Ministry’s Lifetime Achievement Award for the work she has done and the inspiration she has given to others around the world.